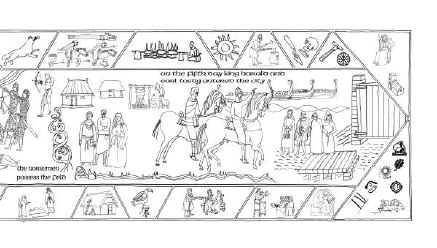 Below is a black & white image of the 5 metre tapestry, with the coloured design below that. The tapestry has been split into sections or panels to make it easier to display on the web. 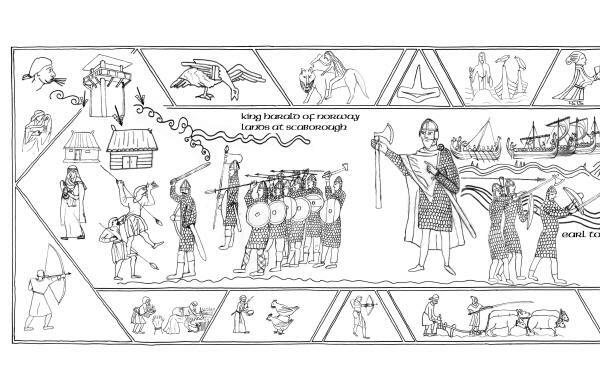 Although the story flows across the tapestry, there are story 'themes' for each section with the top and bottom margins supporting or expanding the narrative.